While the Smashing Pumpkins were sound checking this evening before their show in Prague, they tweeted a picture of something a little different than normal. While Mike was on keys (likely playing For Martha) Nicole apparently jumped on drums and Jeff jumped onto bass. Perhaps this is the most dynamic thing we have seen the Pumpkins do since Jimmy would come out and play guitar on 1979 or in the small clip during Mayonnaise in Vieuphoria where we see Billy playing drums and later he would play the timpani in 2008. 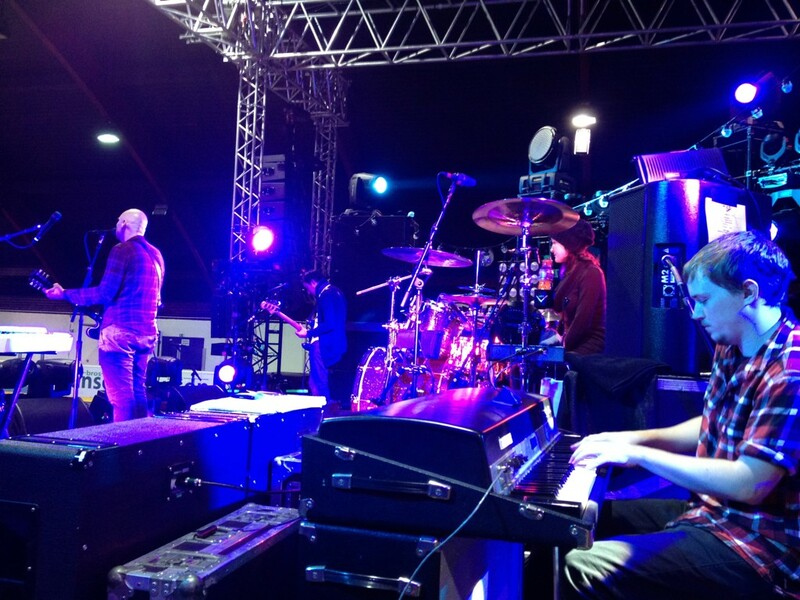 UPDATE: Nicole played drums, while Mike played keys and Jeff played bass on To Sheila tonight in Prague. Very cool! Can’t wait to see this!